D.C. and Northern Virginia will see the traffic pickup this week, with public schools in D.C. starting Monday and Loudoun County schools starting back up on Thursday. Here's what you need to know to avoid accidents on the road and keep children safe. 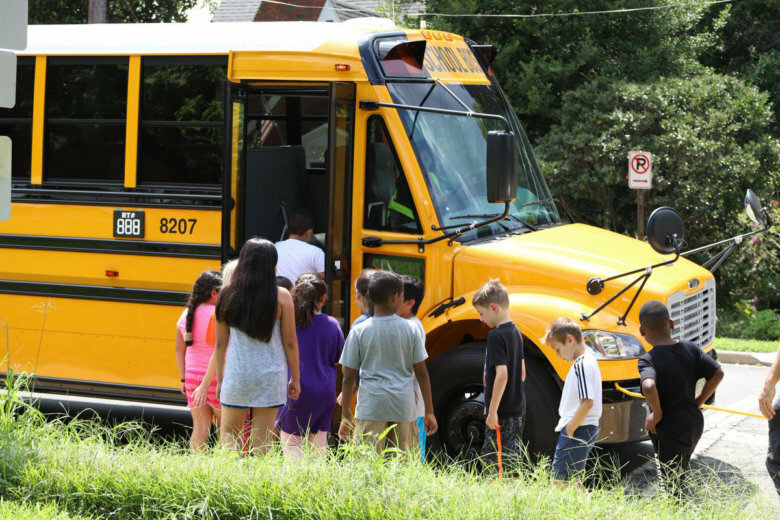 WASHINGTON — As 2.4 million students in the D.C. area return to school in the coming weeks, traffic will increase and drivers will have to pay closer attention to stay safe on the roads. “Area motorists must get back into the habit of slowing down and watching for children in school zones and in neighborhoods who are walking, biking, or taking the bus to school,” said John Townsend, AAA mid-Atlantic’s Manager of Public and Government Affairs. D.C. and Northern Virginia will see the traffic pickup this week, with public schools in D.C. starting Monday and schools in Loudoun County starting back up on Thursday. For Maryland, the difference will come after Labor Day. With children walking and biking to school, it is important for drivers to eliminate distractions. “Research shows that taking your eyes off the road for just two seconds doubles your chances of being involved in a crash, and children can cross the street unexpectedly, and that can cause a crash of fatal consequences,” Townsend said. Another thing drivers will have to look out for are school buses. Drivers have to get back into the habit of stopping for buses, and violations will have more consequences this year as more school systems than ever are using stop-arm cameras to catch those who roll through. Over the last three years in Montgomery County alone, over 50,000 drivers have been caught by these cameras, generating $11 million in fines. It’s also important for parents to talk to their teen drivers, said Townsend. Car crashes are the leading cause of death for teens, and one in four fatal crashes involving teen drivers happens during after-school hours, between 3 p.m. and 7 p.m., according to AAA. For pedestrians, AAA suggests walking in groups, wearing bright colors, and always using a crosswalk. This way, pedestrians are visible to drivers, and drivers have enough time to stop. Watch for bicycles, as children on bikes are sometimes inexperienced and unpredictable. Allow 3 feet of passing distance between your vehicle and a bicyclist.